Once again people from all over Ireland are coming together to #GiveUsASong! 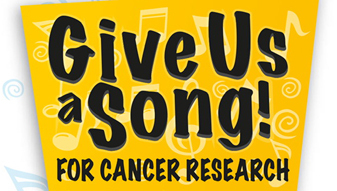 Calling all choirs, singing groups, friends and work colleagues in every corner of the country to organise a performance in your area – sing songs, shake the buckets and help raise much needed funds for vital cancer research. It’s all happening from 1st, 2nd & 3rd February 2019 marking WORLD CANCER DAY 2019. You choose the day & time that suits you. Supporting The Caroline Foundation, working towards improved treatments for cancer patients. Email your contact details to giveusasong@thecarolinefoundation.com and tell us what your plans are. We will send you an information pack. Singing is good for the soul! HOW TO GET STARTED – ANYBODY CAN DO IT! STEP 1: Decide on your date and time – Friday 1st, Saturday 2nd or Sunday 3rd February 2019 (or a day that suits you). A sing-song or karaoke evening at home or club – have a collection. On Friday the 1st of February at work, at coffee/lunch break, get some friends together, sing a song or two, invite audience to make a donation. Get permission from local shopping centre to sing a few songs and make a collection. (An obvious one for choirs but also for any group of singers). On the Saturday evening / Sunday morning, church choirs could consider doing a collection for The Caroline Foundation. And of course, any kind of performance in local halls, clubs, schools etc. would be fantastic! So, there’s something for everyone! Once registered, we will contact you authorising your event, adding your name to our list of approved events on our website. A pack will be sent to you including posters and fundraising protocols and how to make payment. STEP 5: SPREAD THE WORD #GiveUsASong! Step 6: Have a great event! Enjoy the music! For those who are unable to participate in #GiveUsASong! 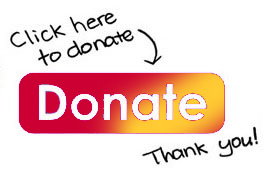 in February 2019 and would like to donate towards Cancer Research, you can make an online donation HERE.